Another sunny day and perfect conditions to be out at sea. Today we launched a little later due to the spring tide. 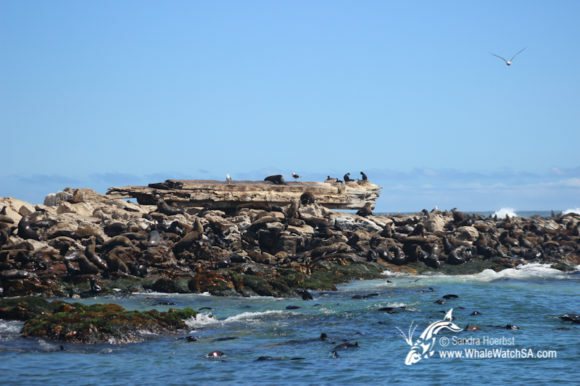 Shortly after lunchtime we made our way out of the idyllic Kleinbaai harbour and made our way to Franskraal and Uilenkraalsmond. 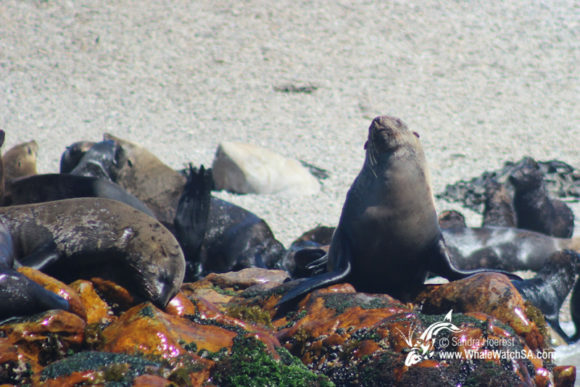 Our captain slowed down the vessel as we traveled along the beautiful coast to see what we can spot. 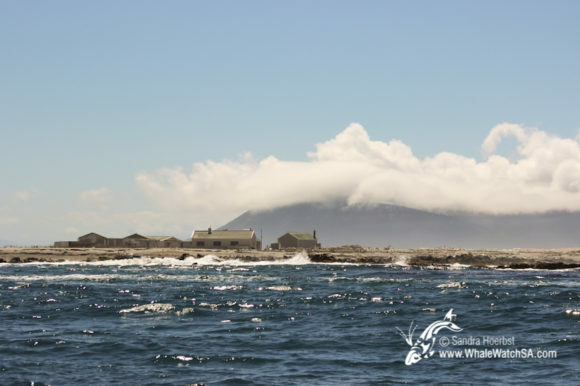 Arrived closer to Dyer Island we looked out for some African penguins, they are quite difficult to spot on the white island and in between the numerous Cape cormorants. But luckily we could point out some of them. 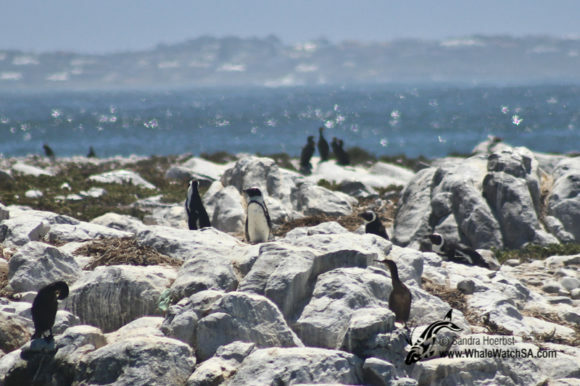 Remember to visit the African Penguins & Seabird Sanctuary, a rehabilitation centre for seabirds in Kleinbaai. 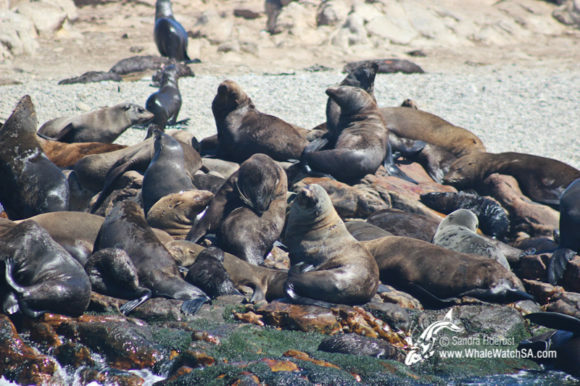 Further we passed the Cape Fur seal colony on Geyser Rock and watched them playing in the water or laying on the three hectare island. We also decided to further behind the island again, as it was such a beautiful day. 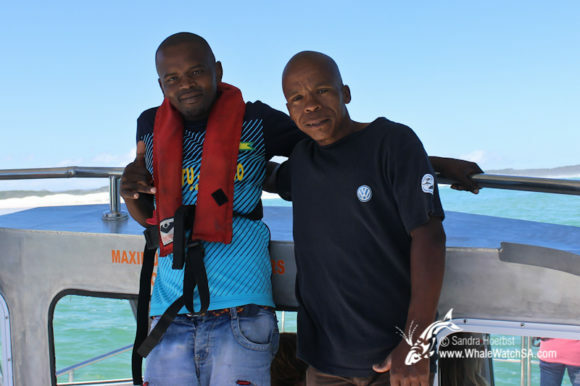 There we managed to see a Giant Petrel and a juvenile African penguin.